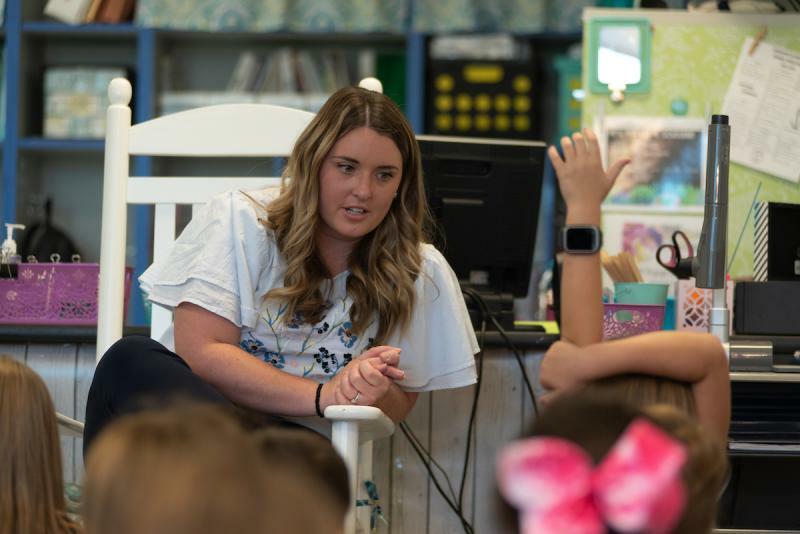 Jenna Parker, a 2nd grade teacher at Edwin A. Anderson Elementary School in Wilmington, talks with students on Oct. 4, 2018 about their experiences during Hurricane Florence. 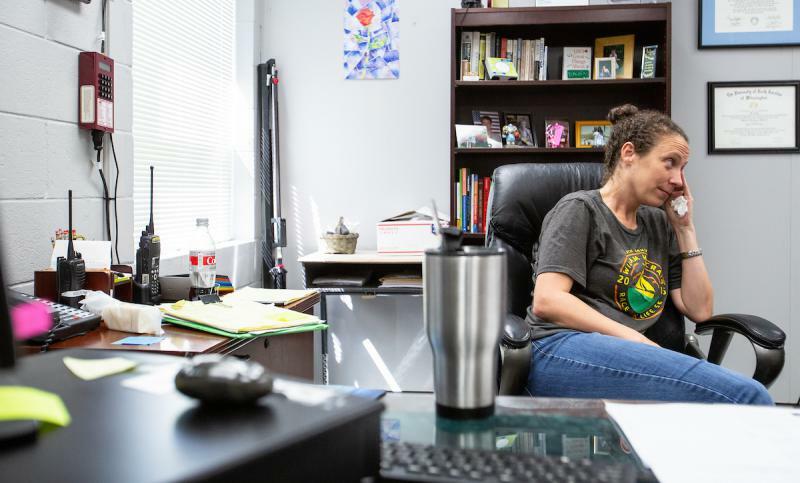 Since the day Hurricane Florence began battering the North Carolina coast, WUNC’s education reporters have been following staff and families in New Hanover County Schools as they first weathered the storm, and now work to put their classrooms and schools back together. Lisa Philip reports on the first day back to school after Hurricane Florence for students at Anderson Elementary School in Wilmington. As second grade teacher Jenna Parker greets her students this morning, it’s almost like they’ve been on winter break. She gives them hugs and reminds them of their morning routine. Then, a dark-haired little boy named Gabe walks in. “Sorry that your house got destroyed,” the student says. We’re quickly reminded: the break from school wasn’t really a break. 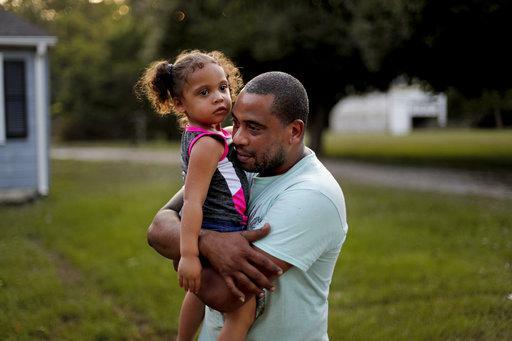 Whether they were in town or evacuated a few states away, these 7- and 8-olds watched Hurricane Florence wallop their community, and leave much of it flooded and wind-torn. 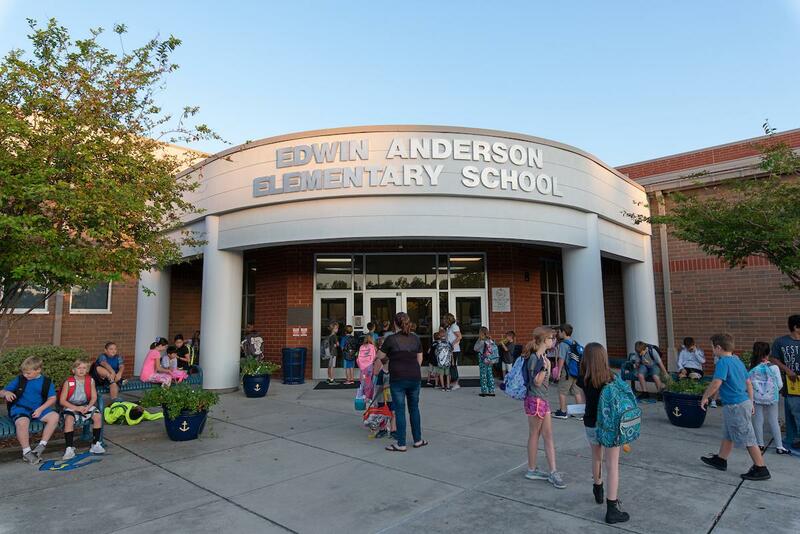 Students arrive at Edwin A. Anderson Elementary School on Thursday, October 4, 2018, the first day of class since Hurricane Florence made landfall in Wilmington. The storm caused widespread damage and flooding. Parker is all too aware of that as she waits to see who is and isn’t coming to class today. Some of Parker’s 21 students do so as they walk into class. “My mom told me there were little leaks in the school and they take four weeks to repair,” says one little girl. Others open up after hearing about their teacher’s house. It was badly damaged by wind and rain, and will likely take a half year to rebuild. Parker’s second graders are curious and aware, but still learning. 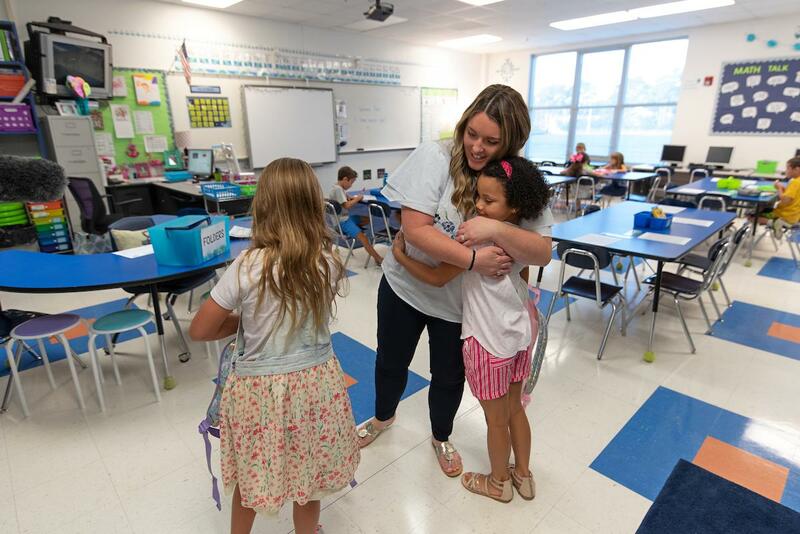 Edwin A. Anderson Elementary School 2nd grade teacher Jenna Parker hugs student Avery Smith, 7, on the first day back to school after Hurricane Florence made landfall in Wilmington. Hurricane Florence caused widespread damage and flooding. “I still am confused, how your house is still underwater,” says one student, as the class gathers together. The discussion leads some of the second graders to chime in about their own experiences. “We only got three shingles off the roof, and now we’re getting a whole new roof,” one student says. After talking together, Parker sends her students back to their seats to write about how they’re feeling and why. A little girl in pink remains cross-legged on the class rug. She’s teary-eyed. Her teacher puts an arm around her and pulls her close. Turns out, her mom’s house had similar damage to Parker’s. Edwin A. Anderson Elementary School 2nd grade teacher Jenna Parker spent the first day back to school talking with students about their experiences of the past week on the first day back to school since Hurricane Florence made landfall in Wilmington. 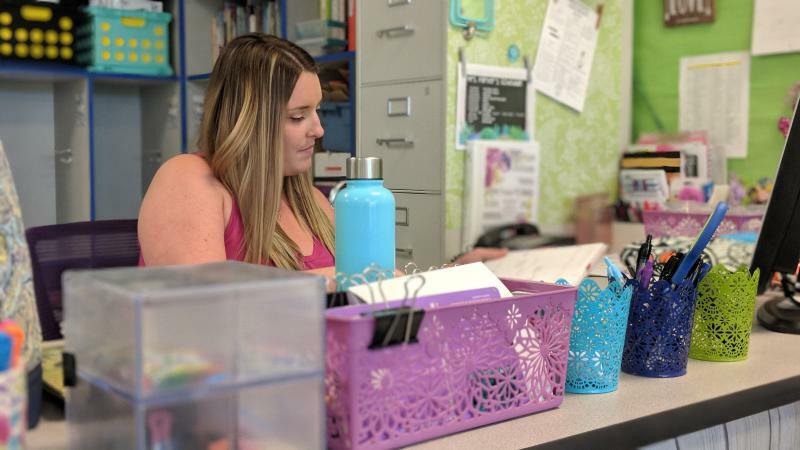 Edwin A. Anderson Elementary School 2nd grade teacher Jenna Parker talks with students as they reflect on their experiences since Hurricane Florence made landfall in Wilmington. The storm caused widespread damage and flooding. 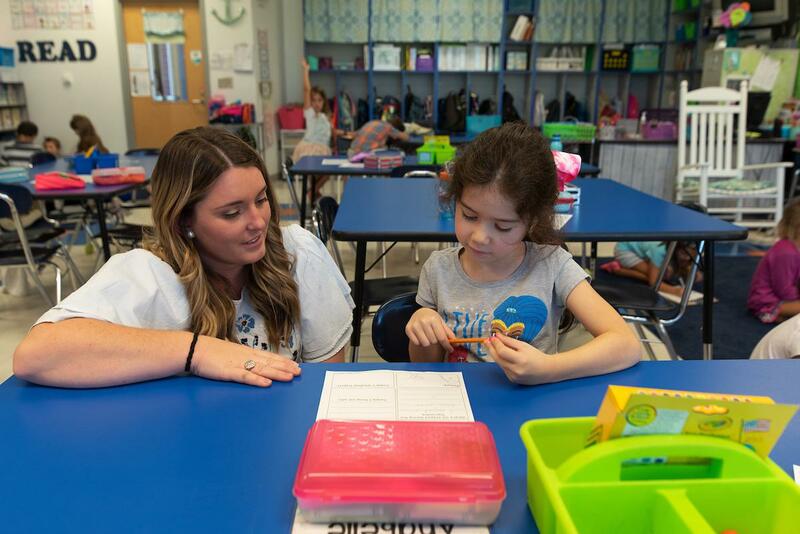 Anderson Elementary School 2nd grade teacher Jenna Parker talks with student Anabelle Melton, 7, on the first day back to school after Hurricane Florence made landfall in Wilmington. 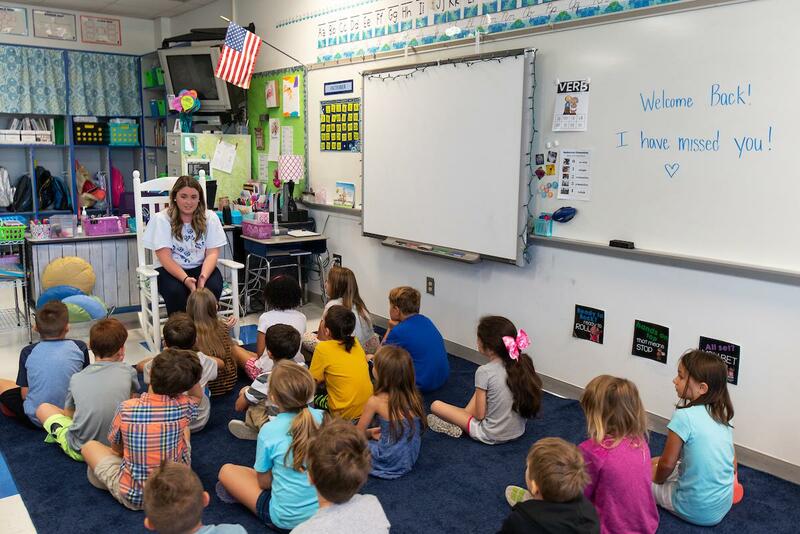 Second graders in Jenna Parker's class at Edwin A. Anderson Elementary School reflect on their experiences since Hurricane Florence made landfall in Wilmington. State education leaders are calling for donations to assist students and educators who lost belongings and school supplies during Hurricane Florence.